A great home renovation has two parts: what you see and what you don’t. Homeowners want beautiful design and function, and they need safe electrical systems behind their shiny new walls. 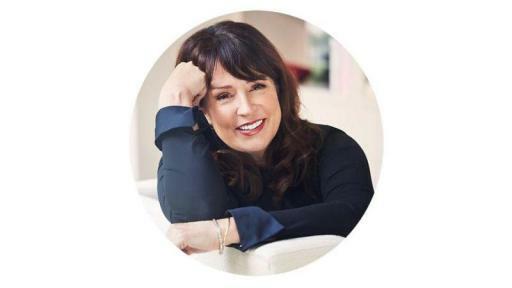 The Electrical Safety Authority (ESA) and design expert Kimberley Seldon have joined forces for Power Your Reno – a new program to provide Ontarians with expert advice for renovations that are both stunning and safe, hosted at www.poweryourreno.ca. Electrical considerations are a must when it comes to planning a successful renovation project. Despite the fact that more than 25 per cent of electrical home fires are caused by faulty wiring and equipment, only 51 per cent of Ontarians are aware of the legal requirement to hire a Licensed Electrical Contractor (LEC). Kitchens are the most popular, complex, and often most expensive renovation project for homeowners. 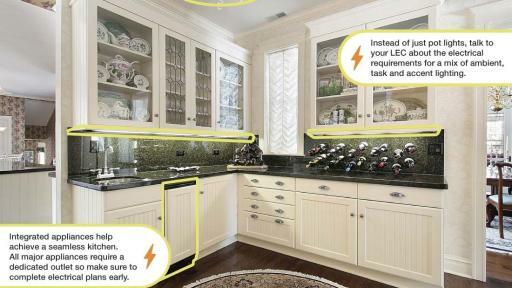 Many of today’s design trends have hidden electrical considerations. Although a detailed floor plan and elevations are vital, equally important is a lighting plan (which factors in electrical and switching requirements and helps avoid those ill-placed outlets and lighting controls). A proper plan will help you determine your electrical needs and assist in getting a specific, itemized quote from an LEC. 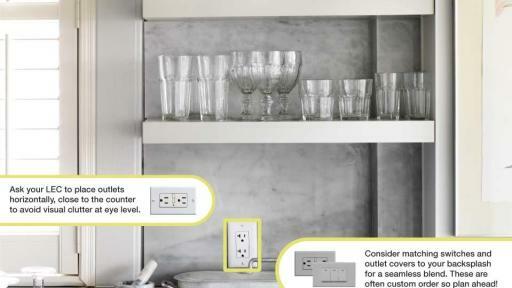 By law, there must be an outlet within 900 mm of any given point along your backsplash. To integrate outlets more seamlessly into your design, consider matching switches and outlets to your backsplash. Another option is a pop-up style outlet. An LEC can help identify the right outlets based on your design plan. 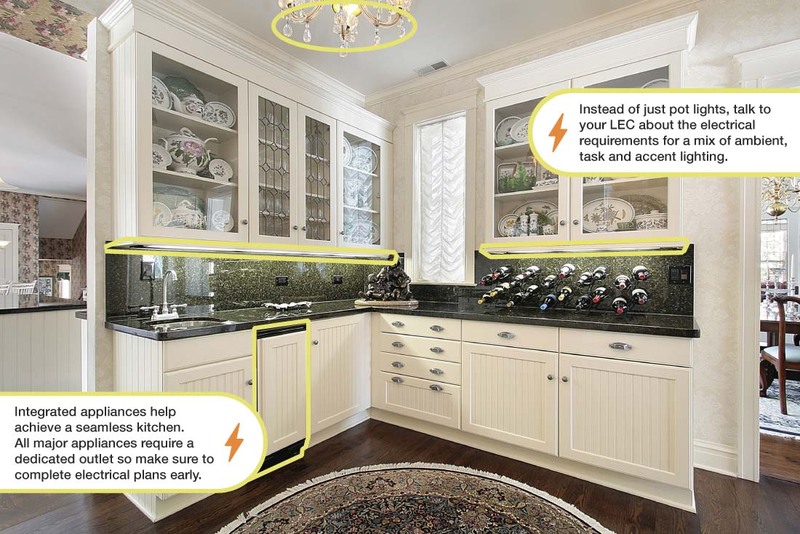 Peninsula and fixed island counters that are not against a wall require outlets installed in the cabinet structure, which means you’ll have to accommodate for wiring – another reason why an electrical plan in the early stages of design is so important. 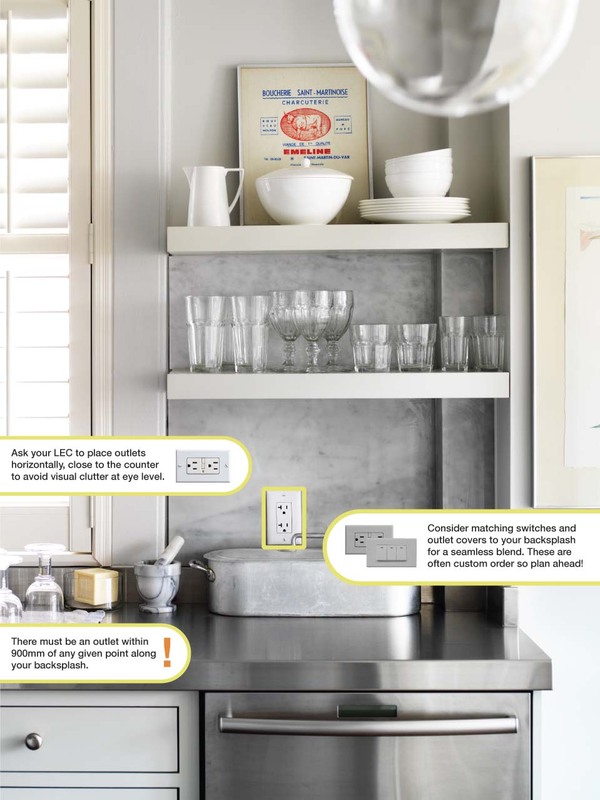 Receptacles enclosed within cabinetry – what is sometimes referred to as an “appliance garage” – will require a special interlocking switch that turns off the power when the door is closed. This will need to be considered for your “super pantry” or maybe even your coffee station if you are planning to have enclosed appliances. The age and quality of your electrical could make or break your reno dream. 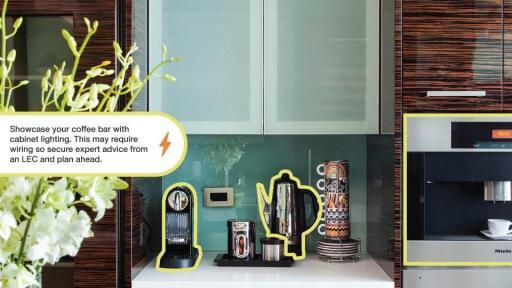 All major appliances require a dedicated outlet. 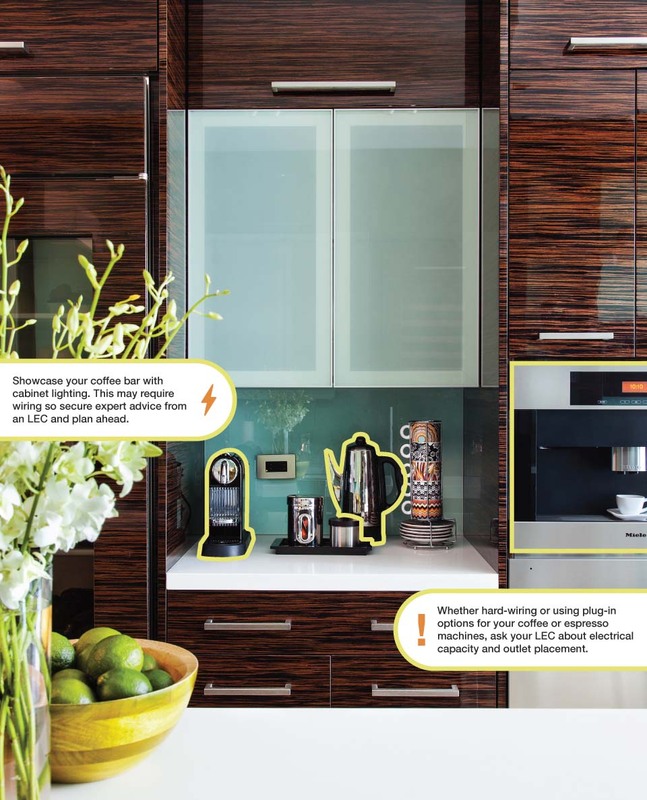 Adding hard-wired espresso machines, sub-zero fridges, televisions, double ovens, and other small appliances may require additional circuits and/or amperage. If you are hiring someone to do electrical work in your home, by law, it must be an LEC. That’s the case if you’re hiring someone directly, or if you are relying on your general contractor or designer to hire the subcontractors. Always ask for a certificate of inspection when the electrical work is complete for insurance and resale purposes, not to mention peace of mind. From arming homeowners with more kitchen advice online and the right questions to ask when hiring an LEC, to providing advice on showcasing their space with the perfect lighting, Power Your Reno is a unique renovation resource that matches electrical tips with design inspiration. 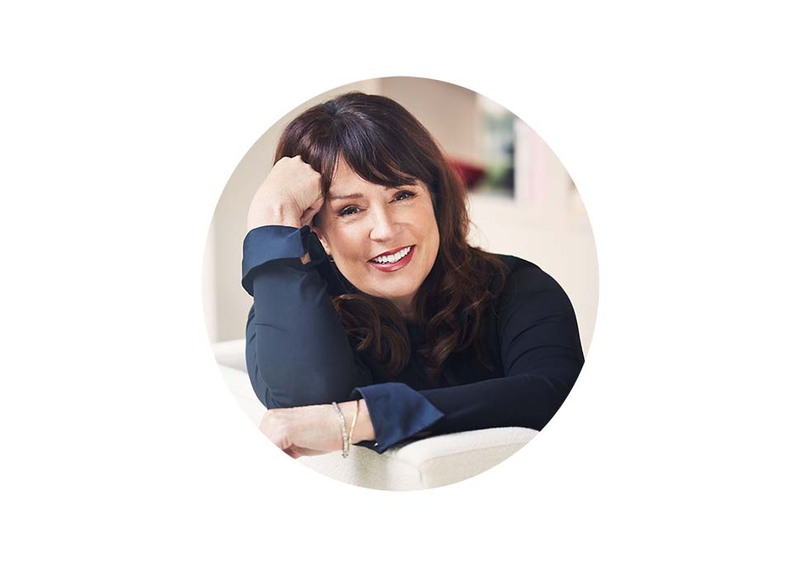 Homeowners who want to hear directly from Kimberley Seldon will have an opportunity to do so when she takes to the stage at 2 p.m. on March 18 as part of a panel discussion at the National Home Show in Toronto. Seldon and Steve Smith, a General Manager and electrical safety expert from ESA, will engage in an insightful Q&A session on the electrical implications of some of today’s most popular kitchen design trends. To help kick-off the Power Your Reno program, ESA is launching a Kitchen Inspiration contest through its newly-created Pinterest account, where users are encouraged to build boards using #poweryourreno and comment on the contest rules pin for the chance to win a free online design consultation with Kimberley Seldon and a $500 Visa gift card. Power Your Reno will take consumers through every room in the home and cover a wide spectrum of projects. The next installment will explore bathrooms later this spring. 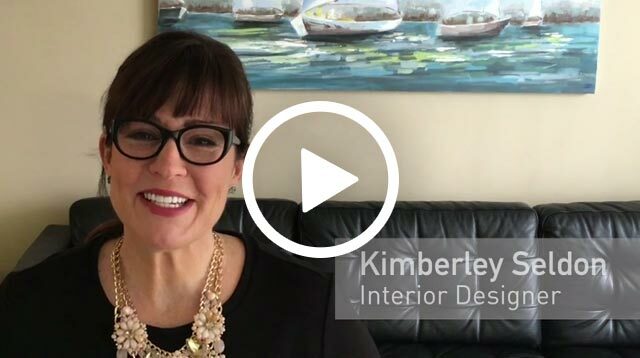 For more expert tips and important resources from ESA and Kimberley Seldon, visit www.poweryourreno.ca. The Electrical Safety Authority (ESA) is an administrative authority acting on behalf of the Government of Ontario with specific responsibilities under the Electricity Act and the Safety and Consumer Statutes Administration Act. ESA’s primary activities are: identifying and targeting leading causes of electrical safety risk; ensuring compliance with regulations; promoting awareness, education and training; and collaborating with stakeholders to improve the state of electrical safety in Ontario. More information can be found at www.esasafe.com, through Twitter @HomeandSafety and on Facebook at facebook.com/ElectricalSafetyAuthority.